Mimi is small. The smallest one in her class at school. She sees all the negative things about being small. Her friends try and make her feel better by telling her of all the things they can’t do because they are bigger. One day Mimi comes home from school and finds that she is no longer the smallest one in the house. She meets her baby brother Max. 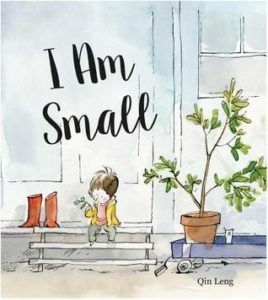 Students who may be one of the smaller ones in class will especially like this book.